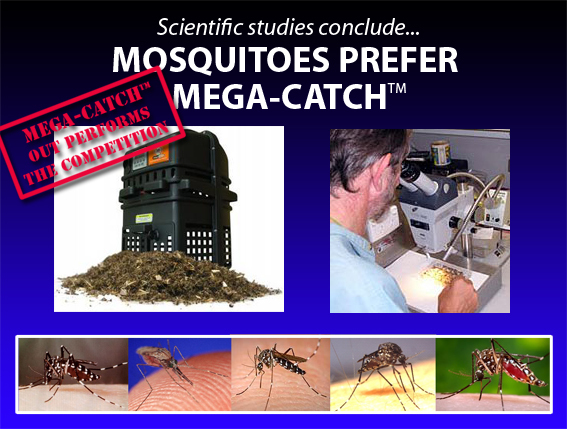 In addition to well-documented independent test results, over the years Mega-Catch™ mosquito traps have attracted some impressive customer feedback. Mega-Catch™ traps are designed to safely and effectively attract, trap and kill mosquitoes. On this site you’ll get tips on how you can maximize your trap’s performance and read what people are saying about Mega-Catch™ from the experts – the people who use the traps on a daily basis. Real reviews from real people – model by model! Made from durable, all-weather casings and quality components, Mega-Catch™ traps are built to last. The unique modular design of the PREMIER and ULTRA traps allows the owner to replace any components – all that’s needed is a Phillips screwdriver. While the 600/800 Series traps were superseded by the Pro 900 Series om 2011, a range of accessories and specialty spare parts are still available from Mega-Catch’s™ online store. “I ordered a replacement timer on Monday afternoon and it arrived Wednesday morning. The trap is once again up and running and catching the blood suckers! Building on the success of Mega-Catch’s™ earlier 600/800 Series traps; the next generation Pro 900 Series represents a dramatic increase in trap capabilities. With the addition of a brand new model, the PREMIER XC, there are now four traps included in the Pro 900 Series line up. EnviroSafeTechnologies, a privately held company based in Auckland, New Zealand, developed one of the first environmentally friendly mosquito traps.